In a 100% unsurprising move, the FDA has decided to reject NRDC’s request for immediate regulatory action regarding bisphenol-A (BPA) in food packaging. We’ve been waiting to hear about the FDA’s decision since December, and now it’s official, the FDA is going to allow food manufacturers to keep on packaging food in materials containing BPA. In case you missed the back story, in October 2008, the Natural Resources Defense Council (NRDC) submitted a citizen petition to the FDA regarding BPA asking that the Commissioner of Food and Drugs issue a regulation prohibiting the use of BPA in human food and packaging, and to revoke regulations permitting the use of BPA as an additive in food products and packaging. Today, probably to the delight of the chemical industry, the FDA denied this request in accordance with 21 CFR 10.30(e)(3). Keep reading to see the FDA’s official response. Sigh. Research links BPA exposure to various health problems, including emotional problems in kids, breast cancer, diabetes, breastfeeding problems, reproductive problems, Autism, babies with lower birth weights, obesity, DNA damage, hyperactivity and more. In fact more than 90% of Americans have BPA in their body, mainly due to the chemical leaching our from food packaging. This could have been an awesome, historic day if the FDA had decided to side with parents and safety first, not the chemical industry. Luckily, some companies are phasing out BPA on their own accord, but the changes are happening very slowly. Until the government decides to regulate BPA, regulate it yourself, by avoiding suspect food products. 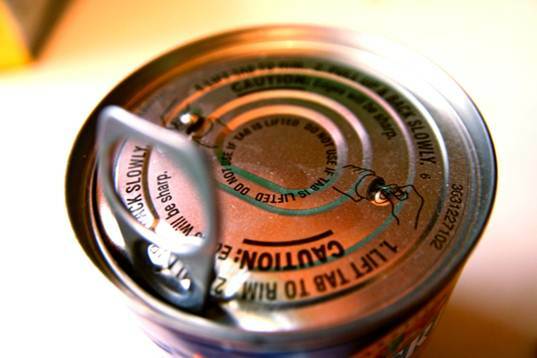 Download the free 10 Canned Foods to Avoid Wallet Card (pdf) for help, or learn how to lower your own family’s BPA levels. In a 100% unsurprising move, the FDA has decided to reject NRDC�s request for immediate regulatory action regarding bisphenol-A (BPA) in food packaging. We've been waiting to hear about the FDA's decision since December, and now it's official, the FDA is going to allow food manufacturers to keep on packaging food in materials containing BPA. In case you missed the back story, in October 2008, the Natural Resources Defense Council (NRDC) submitted a citizen petition to the FDA regarding BPA asking that the Commissioner of Food and Drugs issue a regulation prohibiting the use of BPA in human food and packaging, and to revoke regulations permitting the use of BPA as an additive in food products and packaging. Today, probably to the delight of the chemical industry, the FDA denied this request in accordance with 21 CFR 10.30(e)(3). Keep reading to see the FDA's official response.